Focusing on HU athletics, the show highlights Trena Peel, Head Coach of the softball team. Viewers get a glimpse into the inner workings of the team. Later in the episode the upcoming Battle of the Bay game between Hampton University and Norfolk State University is featured. Senior players Shine Huwe, Nina Ferguson and Carla Trimble discuss the difficulty of being the target team to beat, and the importance of winning the Battle of the Bay. Next, viewers learn about the 143rd Commencement Exercises in Armstrong Stadium where President Dr. William R. Harvey and Dr. Regina M. Benjamin, the U.S. Surgeon General commencement give inspirational words of wisdom. Afterward our alumni correspondent Dominique Spann chats with fellow parents about the importance of their children’s academic accomplishments. Profiled this week are Ioana Kalfinova, a third-year accounting major and Assistant Professor of English, Phil Branch, on the significance of the uniquely strong relationships HU students and professors have. 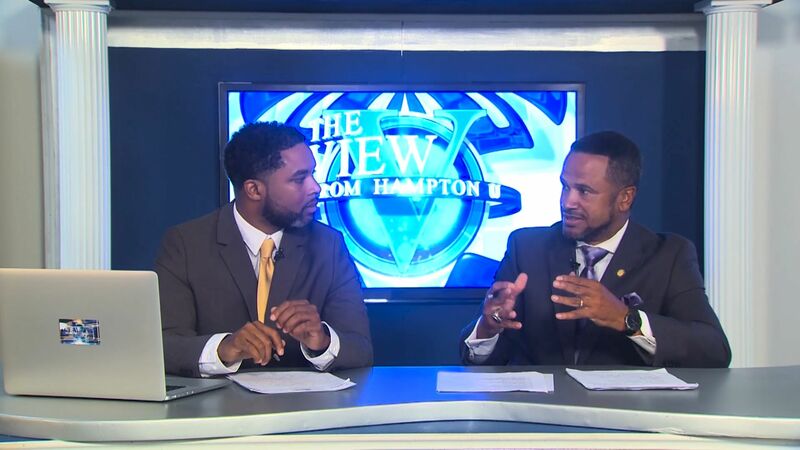 This episode wraps up the phenomenal third season of The View from Hampton U.